Haha oh man. Today is a new one, for sure. Today is going to be a three post day!! Haha. Aren't you psyched? Hey man, sometimes life happens. Let's dig in! The first post today is actually one I'm really excited about because it's a lesson I'm still learning and it's one that is hard for so many of us. Today I want to talk a little bit about asking for prayer. What's interesting about the book of Esther is that God isn't mentioned anywhere in the book. Biblical scholars have different interpretations for why this is, but the important thing to remember for our purposes is that whether the Israelites were still actively worshipping God or not, they were still following their customs. And according to Jewish custom fasting was synonymous with prayer. This means that when Esther asked for Mordecai to have all the Jews in their city fast for her she was asking for her entire faith community to pray for her. It's hard to be open and transparent about what we need when it comes to prayer. So often when have a need it exposes us in ways we'd rather not be exposed. Asking for prayers over our marriage, as parents, over our finances or our job situation, these things can make us feel like we are revealing failure and weakness and so rather than risk the judgement of others, we just don't ask. We are so consumed by fear of being seen as we truly are that we miss out on this huge resource. God intended us for community, and this is no small part of why. Not sharing your needs with anyone, not asking for prayer leaves you vulnerable to attack in those areas and it comes down to a question of what you value more: the prayer covering of your family and friends and faith community, or the image of yourself and your life that you want people to have. I love that Esther just went for it, to me this is her first act of braveness, to call on her faith community to pray for her as she entered into a difficult time. 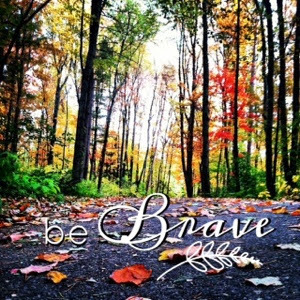 Be that brave today, reach out to someone and ask for prayer for something you've been too scared to be vulnerable with. Ask them to pray for you right then, in that moment. Be brave, friends, and gain the benefit of knowing you're being lifted up in prayer.